Home Camera Comparison Dji Review Dji Spark vs Dji Mavic Pro Comparison: Which is Better? 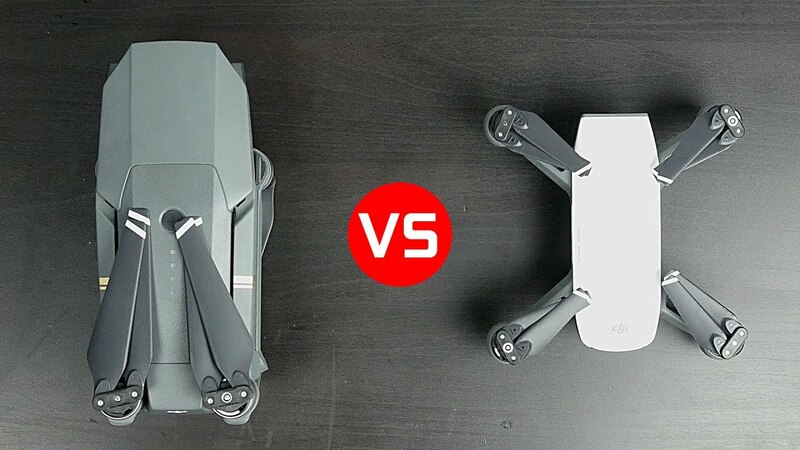 Dji Spark vs Dji Mavic Pro Comparison: Which is Better? 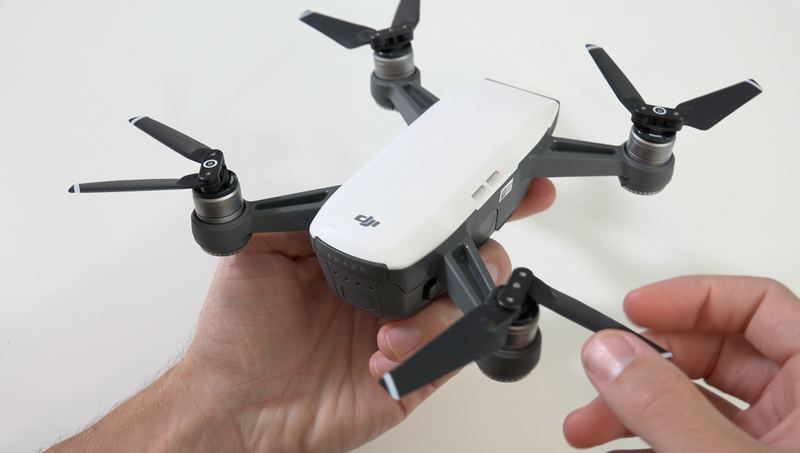 Dji Spark is the latest drone of Dji company and also the first mini quadcopter of Dji. Spark much smaller than other quadcopters on the market; the body is about the size and weight of a can of the Cross. 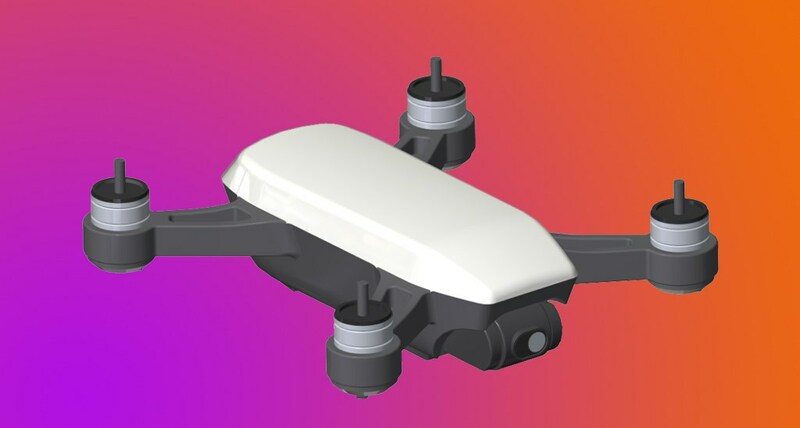 Dji Spark have the same design of Dji Mavic Pro with some differences. In this review we will make a comparison of this greatest drones at the moment [Dji spark vs Dji Mavic Pro]. DJI are marketing the Spark as a ‘drone for everyone’. Packed with all the intelligent features of its predecessors while bringing a few new additions to the table, there’s a lot to be excited about with this new mini quadcopter. Last year, DJI redefined portability with the backpack-sized Mavic Pro. Its foldable design allows you to put it in a small bag and carry it anywhere. The new DJI Spark is incredibly small, so tiny that it makes the Mavic Pro look massive. Spark is as small as a 5-inch smartphone. It fits in the pocket of your jacket. You can launch it right from the palm of your hand and land it back in your palm. Related: Why You Should Buy DJI Goggles Now?! The Dji Spark weighs 0.66 pounds (300g) at takeoff, while the Mavic Pro weighs a pound more at 1.62 pounds (743g). 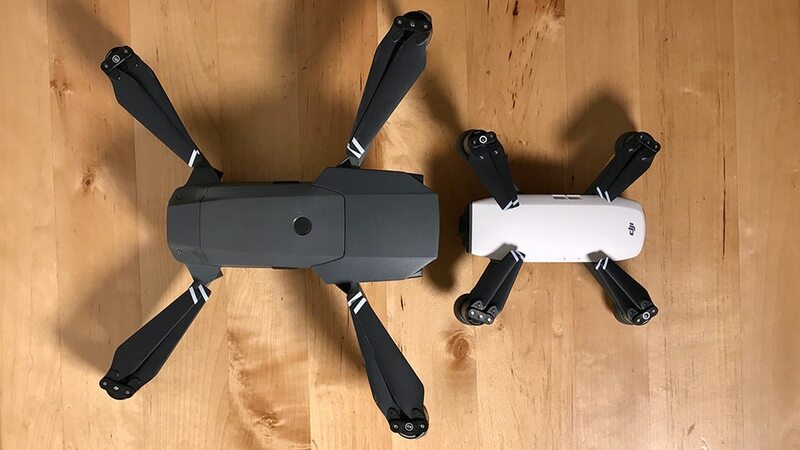 At its most compact, the Mavic Pro is slightly smaller than the Spark, with dimensions of 3.2x3.2x7.8 inches (Mavic) and 5.6x5.6x2.1 inches (Spark) respectively. 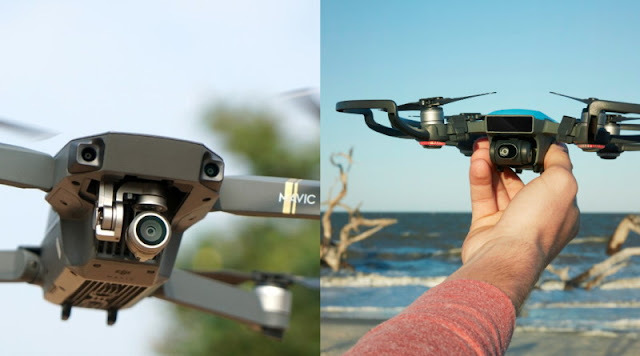 When fully extended, the Mavic is 11x12x3.5 inches, approximately double in size. Dji has designed the Spark’s camera to ensure that all imagery us consistently sharp with little-to-none colour aberration and distortion. Featuring a f/2.6 wide-angle lens with a 25mm equivalent focal length, the camera’s five elements are arranged into a single group that fit into a compressed frame. Small and compact like the drone itself, the camera features a 1/2.3″ CMOS sensor which allows for stabilised video at 1080p and stills at 12MP; there is no 4K recording. The Spark comes with two new modes not present on other DJI drones: Pano and ShallowFocus. The Pano Mode allows the camera to create vertical or horizontal panoramas by adjusting its gimbal and heading. In ShallowFocus mode, part of the image is put in sharp focus while the rest is softened to create a shallow depth of field. Mavic Pro can also capture still images at 12-megapixel. Unlike Spark, it is capable of recording videos in 4K resolution at 30fps. While Mavic can capture images both in JPEG and RAW, the Spark takes photos only in JPEG format. Thanks to its bigger size, the Mavic Pro packs a huge 3830mAh battery. The Spark comes with a smaller 1480mAh battery pack. The battery is swappable on the fly, which is a big positive for a drone with a smaller battery. DJI claims each Spark battery offers 16 minutes of flight time per charge. The actual flight time is likely to be lower depending on the wind conditions. The Mavic promises a flight time of 27 minutes on a single charge, which Apple Insider found to be accurate in “zero wind situations and light computational demands.” The flight time drops to less than 20 minutes if you add a little breeze. The actual flight time could be even lower considering you don’t want to accidentally run your drone’s battery to zero. Talking about range, the Spark could be controlled from a distance of up to 300 feet using a smartphone app. The range extends to 1.2 miles if you are using an analog remote. The Mavic, on the other hand, offers more than four miles of nominal control range. The Mavic is so aerodynamically inclined that it flies longer while flying than it does hovering. DJI Spark certainly has a lot of power behind it. 50kph of propulsion means you can expect a steady flight at speeds of up to 31mph in Sport Mode. This setting switches the gimbal mode to FPV by default, so the camera intuitively moves with you as you fly. 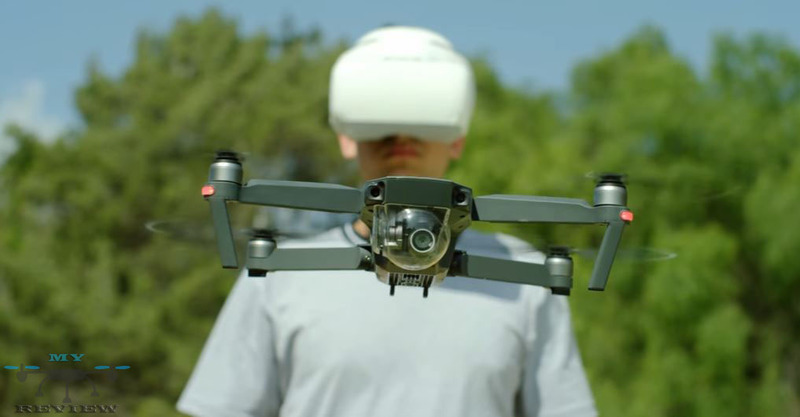 For an upgraded FPV experience, the Spark is fully compatible with the DJI Goggles. 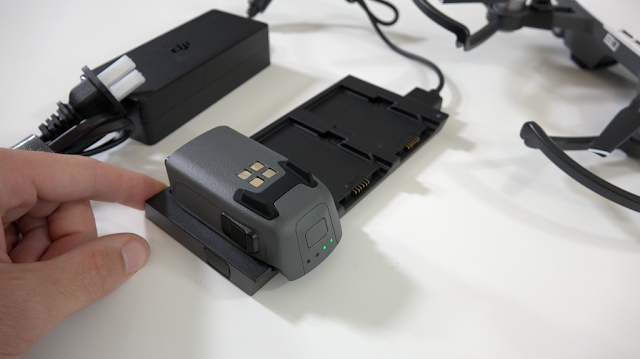 The Mavic Pro has all of the traditional Intelligent Flight Modes DJI is known for, including Active Track, TapFly, and Terrain Follow. The Spark has all of those too, and is compatible with the DJI Goggles for FPV flight. But the real eye-catching capabilites of the Spark are evident in the brand new flight modes and gestures DJI crafted for it: QuickShot (which itself contains Rocket, Dronie, Circle, and Helix), and the PalmControl gestures. Rocket- Ascend with the camera pointing downward, revealing a unique perspective from above. Dronie- Fly backward and upward, with the camera locked on your subject, creating an epic shot that captures the big perspective of the world around the subject. Circle- Keeps the subject locked in the center of the frame, as the Spark automatically flies a circle around it..
Helix- Starts close to the subject before flying up, away, and around in larger and larger circles. The Spark has been priced at $499, making it affordable for a larger market. You can also choose to buy the Fly More Combo at $699. It includes an aircraft, four pairs of propellers, two batteries, a remote controller, a charging hub, a shoulder bag, and propeller guards. It’s not as cheap as many other budget drones available in the market, but the Spark is worth its price considering the features it brings. The Mavic Pro will set you back by $932. If you want the Fly More Combo, you’ll have to shell out $1299.